Hi there! Kim here today! I made a fun little sporty treat today! 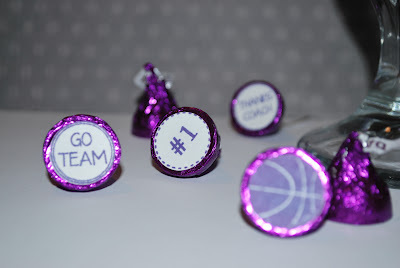 I used the Sport Kisses Stamp set By Jaded Blossom and some Dark Chocolate Hershey kisses! Perfect combo! 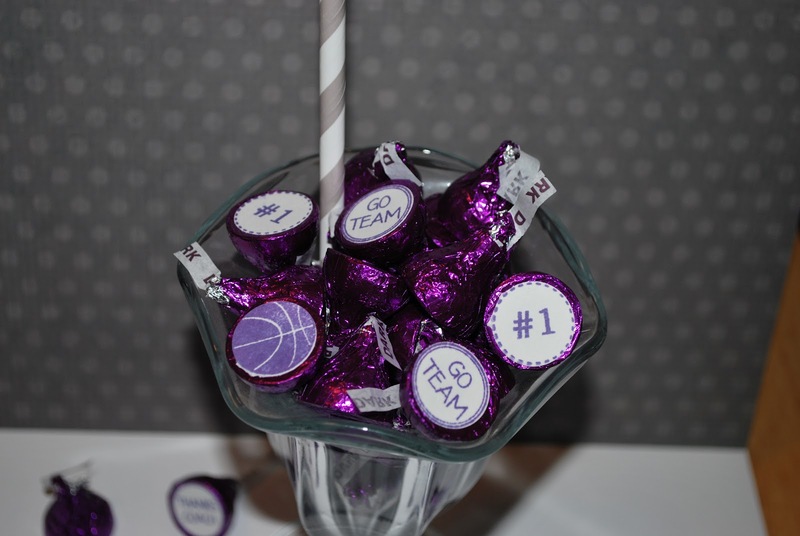 Our local basketball team is the Sacramento Kings and the have the purple and silver colors! 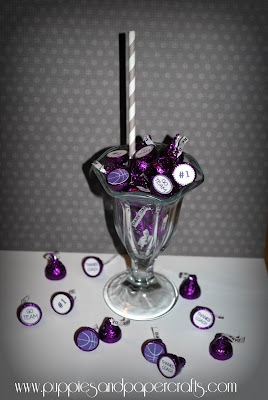 I used the Jaded Blossom Sport Kisses Set and Grey Straws for this project! Wouldn't this be a fun little gift to place on a coaches desk? This is so cute!!! I can't wait to use my new kiss stamps for something!! This is cute! 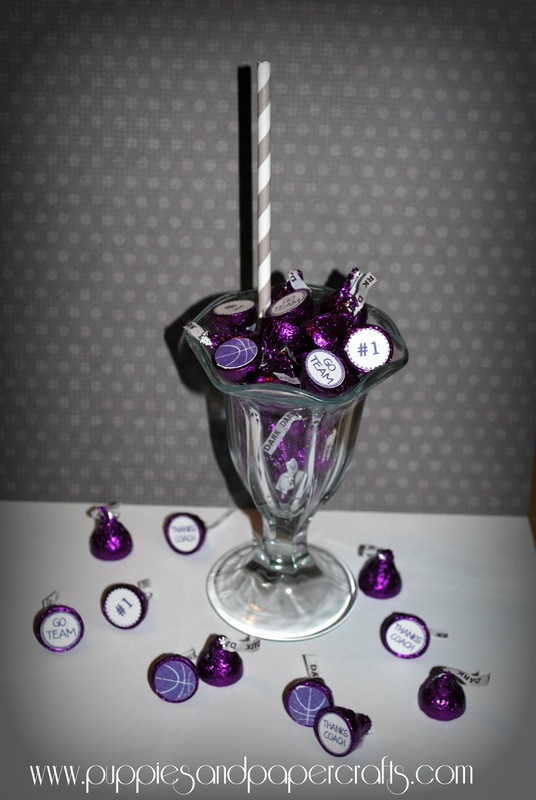 You could even wrap up the whole thing in cellophane and put a ribbon around it would make a cool gift.